Good, Dylan Thomas. 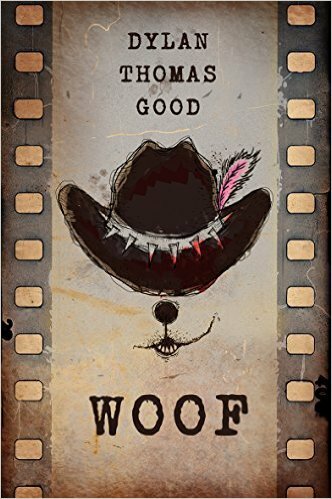 “Woof: A Novel”, Bare Bones Books, 2015. I had never heard of Dylan Thomas Good before I received a review copy of his book but I have a strong feeling that we will be hearing a good deal more about and from him. The LGBT community has been so self-contained for so long that it is rare that we get a book that everyone can read and enjoy and that focuses on love—not straight love or gay love, just love. The fact that the characters here are gay is not important—what is important is how they feel about each other. In the words of author Good, “I wanted to write something that was self-contained within the ‘bear’ community, but also had a common touch. “Woof” is something that could have had two lesbian characters, two straight characters or any combination, but, in the end, the message is the same: once you love someone and they love you, you’re imprinted. That person you love becomes part of you. And the faster you try to run from that, or attempt to cut it out of yourself, the faster it’ll grow and destroy you”. Carl Danielson has been having a rough time financially and socially. The bills have mounted up and eviction is staring him in the face. Then he gets a visit from his ex-boyfriend, Dwayne, a filmmaker. It seems that Dwayne needs someone for his new movie and even though their relationship died a year ago, he asks Carl if he would do the film and he offered him the nice amount of $25,000. There is a catch though (there is usually a catch) and that it that Carl must play himself and the film is based upon their relationship. Now from the introduction I gave in this review, you might think you know where this is going—forget it. There are surprises aplenty and wonderfully drawn characters and rich dialogue. I did a little research on the author and found that he is also something of a moviemaker and we see how that aids him in building his story. As filming begins, Carl and Dwayne talk about the year just passed and how they lived their separate lives after having been together. Of course we hear of joys and disappointments as we would expect to but do not anticipate how this book ends because you will be incorrect. I do not want to spoil an amazing read by summarizing then plot any more than I have so you will just have to read the book. I do not think any of us are capable of imagining where this book goes both emotionally and psychologically. It’s a very special read that you do not want to miss. This entry was posted in GLBT fiction on October 18, 2015 by Amos.